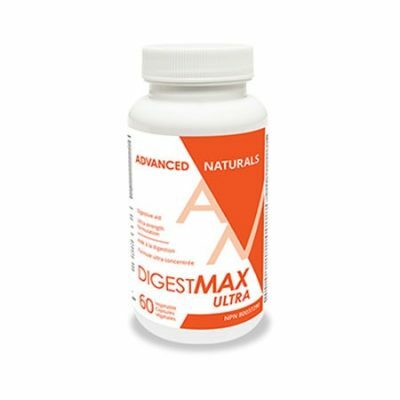 A healthy functioning intestinal tract repairs itself approximately twice per week. The two main nutrients necessary for this process are L-Glutamine and N-acetyl-Glucosamine. 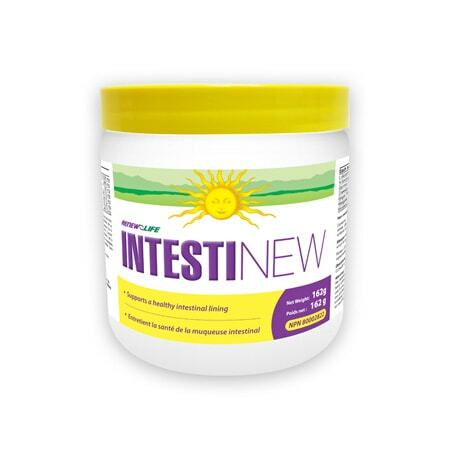 By providing the body with a therapeutic dose of L-Glutamine and N-Acetyl-Glucosamine, IntestiNEW works to soothe and heal the damaged areas of the intestinal tract lining. IntestiNEW also contains ingredients which help to reduce inflammation and promote healing of the intestinal tract. Powder: Take 1 scoop per day, mixed in water, in the morning on an empty stomach. Consult a health care practitioner for use beyond 6 weeks. PLEASE NOTE: Not all of the ingredients in the powder are water soluble. This means that it will not completely dissolve. We suggest after mixing the powder into the water, to continue to swish the glass around between sips. 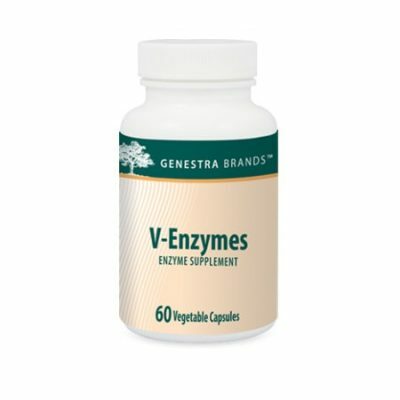 Capsules: Take 7 capsules with water in the morning on an empty stomach. Consult a health care practitioner for use beyond 6 weeks. Contains no nuts, peanuts, sesame seeds, mustard seeds, wheat, gluten, yeast, corn, egg, dairy, soy, crustaceans, fish, artificial colour or preservatives, binders or fillers. Renew Life does not use genetically modified ingredients. All ingredients are NON-GMO / GMO-FREE. Do not use if pregnant or breastfeeding, sensitive to the Asteraceae/Compositae family of plants (i.e. Marigold) or have kidney disease. Consult a health care practitioner prior to use if you have a serious medical condition or are following a low protein diet. 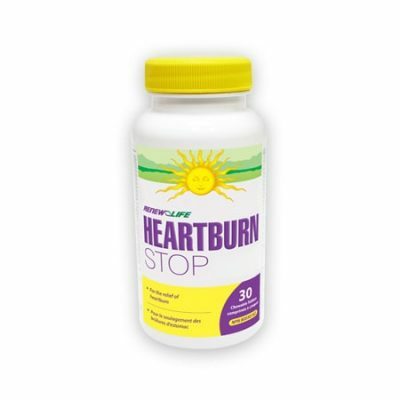 Discontinue use if abdominal pain, nausea, or vomiting occurs unless otherwise directed by a physician. Do not exceed recommended dose. Keep out of reach of children. No Refrigeration Required. Store in a cool, dry place. ALLERGEN WARNING: This product contains N-Acetylglucosamine, which is sourced from shellfish.